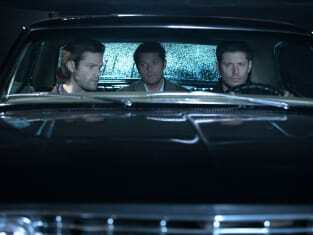 What a refreshing hour of Supernatural! 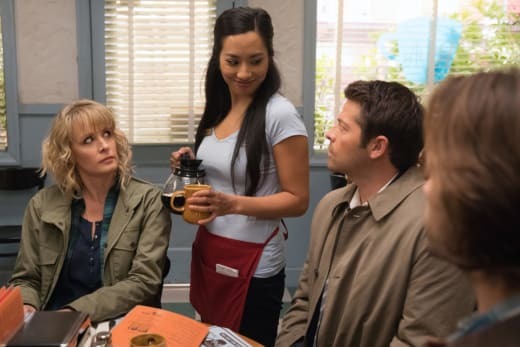 Right from the outset of Supernatural Season 12 Episode 12, there was something different. The camera shots, the pacing, the soundtrack. It was during the slow motion scene with Sam, Dean, Mary and Wally that I had to check on the director. 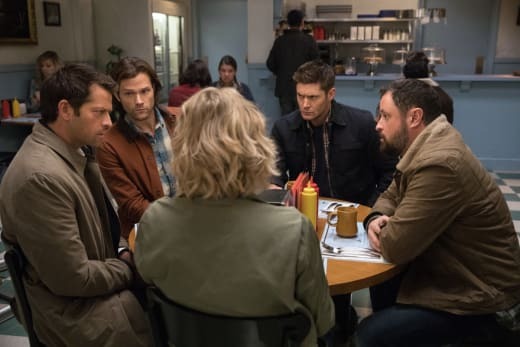 Some of the episodes for Supernatural Season 12 have left me unimpressed, and I haven’t been wowed by the storylines so far, but something was reinvigorating about this particular hour. There was some real excitement and tension. There was diving into the lore with the Prince of Hell and the return of the Colt. And though I’ve grown tired of Lucifer this season, there was something pretty cool about his reveal to cap everything off. Though, it probably helped that it was actor Mark Pellegrino filling the shoes again. The hour seemed pretty clearly a nod to Quentin Tarantino's film Reservoir Dogs, but the style, editing and jumping around through the narrative ratcheted things up and was truly engaging. And even when going over scenes and moments already seen, there was something new to explore or a slightly different direction to take that explained a bit more about what was going on. 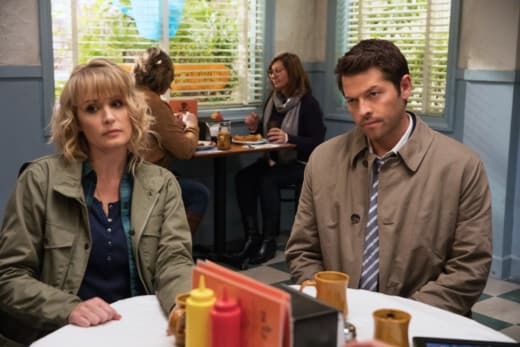 Like Mary revealing why she picked Wally or Mary stealing the mysterious “item” before Castiel questioned what she was up to. Even the diner scene still had a freshness to it seeing it the second time around with some more context and background as well. This style probably wouldn’t work for every episode of Supernatural, but it played well during the hour and was a choice that paid off. What’s more, the time jumping also revealed how Crowley became the King of Hell. And it was interesting to know that there were these princes of hell that were next in line for the throne. And Ramiel was a great villain. He felt like the scary demons of the early Supernatural seasons, and it was kind of cool to see his connection to the yellow-eyed demon Azazel. I guess it was a little disappointing he was taken out in one episode, but it was good to see that the entire crew had to work together to even take him down. Plus, it wasn’t an easy task. So often, the brothers can get thrown around, but they seem to take down bad guys pretty easily. This felt like a challenge, and again, perhaps with the style and editing (and whistling from Ramiel) made for a menacing and intriguing bad guy. A demon who just wants to fish and be left alone but has crazy powers and a poisonous spear? I never believed that Castiel was going to die, that’s just Supernatural for you, but his speech was heartfelt. The re-emphasis on family and Castiel’s care for the brothers stood out while he was dying, as did Sam and Dean’s response of fighting for him and not leaving him behind. It definitely gave Mary pause during the whole event. And speaking of Mary, I’m surprised that she was still willing to work with the British Men of Letters and hand over the Colt after everything she just went through. Losing Wally and not knowing that she was going up against a prince of hell would seem enough to want to get out of that deal. But it wasn’t enough. I’m just wondering what’s going to break their working together. Though, I was glad that we did at least get to see what the item was. I figured they would have left it a secret, but clearly, the Colt has a bigger role to play down the line. Plus, can you imagine when Sam and Dean find everything out, and that she gave the Colt away? 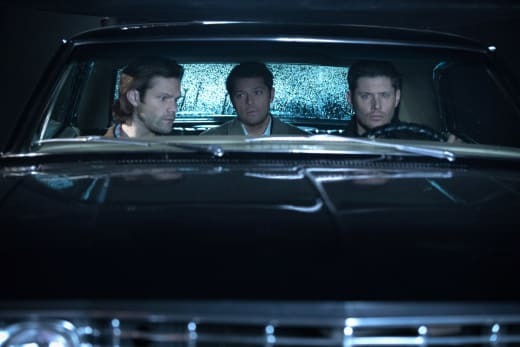 “Stuck in the Middle (With You)” was a very entertaining hour of Supernatural, and kudos to Speight for his directorial work on it. 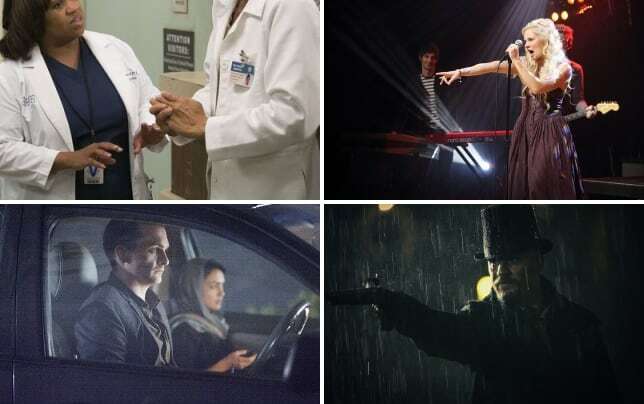 Getting to see all the main characters have roles to play in an interesting case that still slightly connected to the larger story of the season was fantastic. And the style of the hour truly stood out, enhancing the experience of the episode right until that last shot of those red eyes. Let's hope this is the spark that keeps things headed in a positive direction for the rest of Supernatural Season 12! 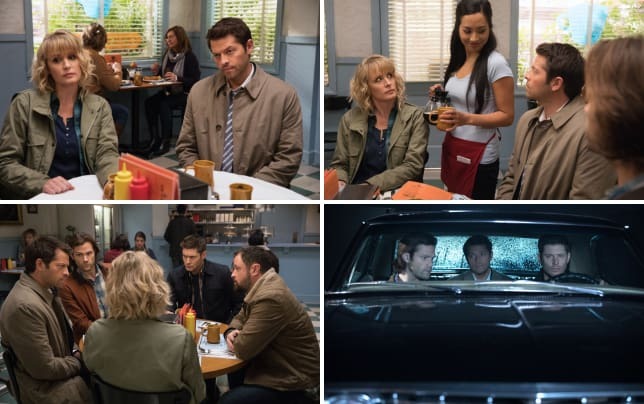 Supernatural Photos from "Stuck in the Middle (With You)"
What did you think of the episode's style? Were you surprised by the item Mary was getting? What about Lucifer at the end? Sound off below, and be sure to watch Supernatural online at TV Fanatic.